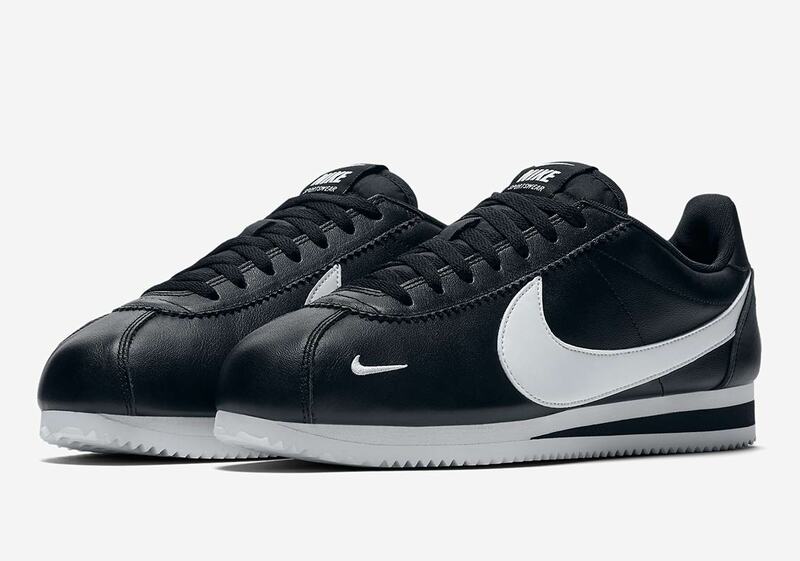 First introduced to the market all the way back in 1972, the Nike Cortez has gone on to become one of the most recognizable footwear silhouettes in the world. 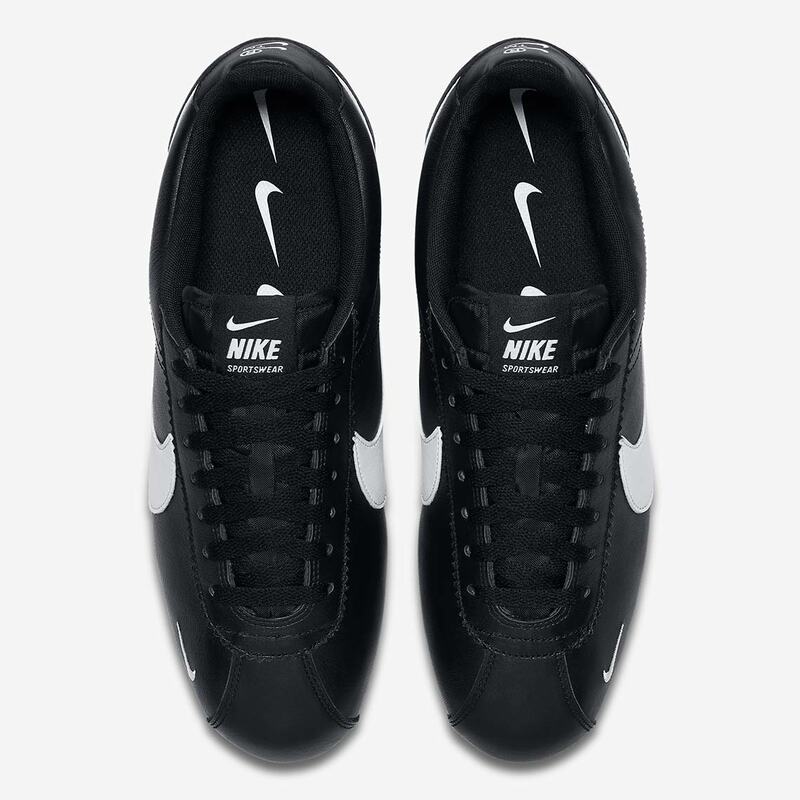 The low-profile look, affordable price point, and ridged outsole are still popular today, and now the Cortez has been released with a plethora of extra Swoosh embellishments. The shoe is constructed of a standard black leather with white branding and detailing, but the detailing is not simple by any means. 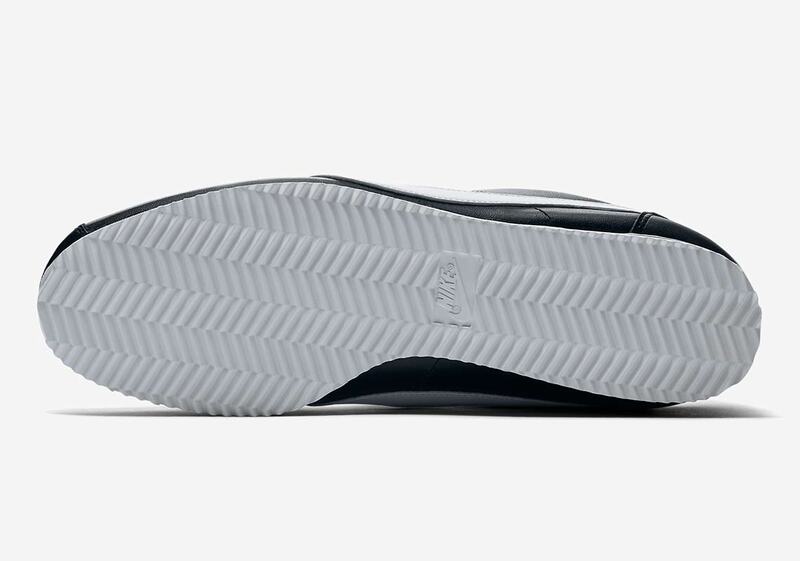 Apart from the large midfoot Swoosh, there’s extra Swoosh details on the lateral toebox, the tongue, and a whopping three Swooshes on the heel as well. 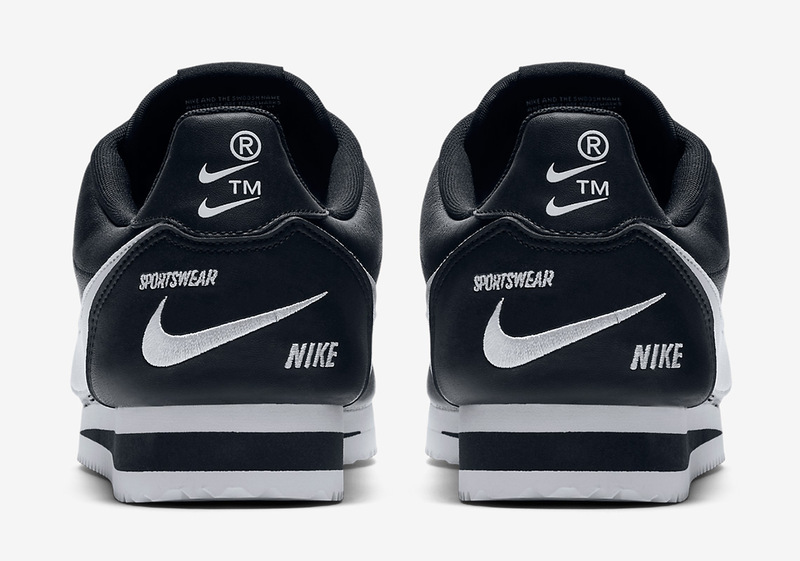 Two arrive high up on the heel collar with trademark-style embellishments, while a single large Swoosh is on the lower side of the heel, surrounded by Nike Sportswear graphic hits. 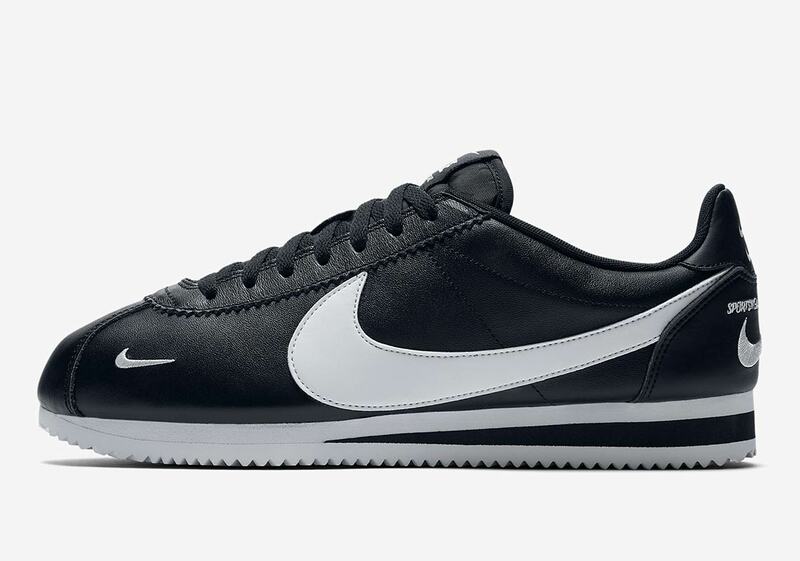 The look is then completed by a two-tone midsole. 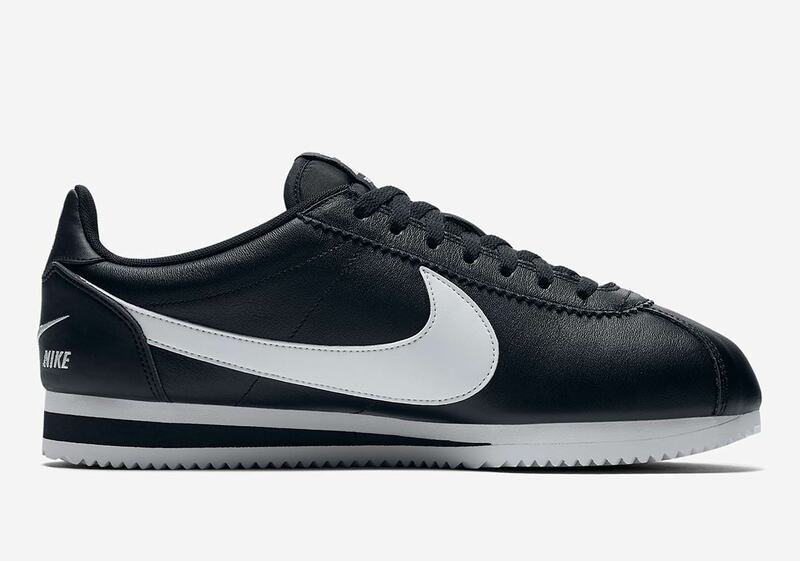 These sumptuously-swooshed Cortez are available now at Nike UK for £79.95, and will likely see a US release later this Fall.